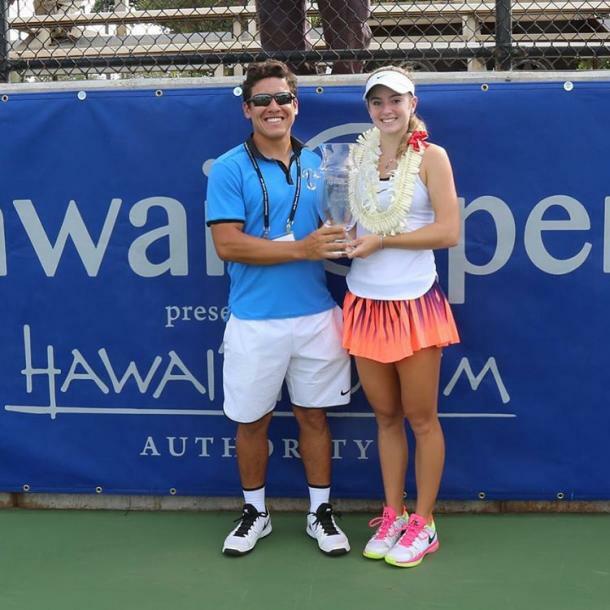 2016 was a big year for American teenage phenom Catherine Bellis as the 17-year-old not only turned pro but also ended the season on an astonishing 15-match winning streak, winning three back-to-back titles in the process. In an exclusive sit-down interview with VAVEL USA’s Max Gao, Bellis gives an in-depth look into her love for the game, as well as her changes in mentality throughout the 2016 season, with her mother Lori and coach Anibal Aranda also giving their insights on various topics concerning the teenager. It was a quiet Tuesday on the grounds of the 2014 U.S. Open when a spirited 15-year-old by the name of Catherine Bellis made shockwaves around the tennis world in her début on the non-televised Court 6, a small side court where a raucous crowd growing with intrigue by the second, had gathered to cheer on an overwhelming underdog. With not a seat to be had and limited standing room, Bellis quickly became the Cinderella story of the championships. Ranked 1208 in the world, the junior world number two’s efforts to win the Girls’ 18s National Championships had landed her a wildcard into the main draw—one that she would certainly put to good use. With the odds seemingly stacked against her and a reigning Australian Open finalist across the net in the form of 12th seed Dominika Cibulkova, it is safe to say no one, not even Bellis herself, would have expected the series of events that would unfold in the coming hours. With her father watching nervously from the sidelines while giving her mother periodic updates through text messaging, a free-swinging Bellis had done what was once considered unimaginable; another tight unforced error from Cibulkova handing the high school sophomore a stunning 6-1, 3-6, 6-4 victory. After becoming the youngest player since Anna Kournikova in 1996 to win a match at the Open, the 15-year-old became a global star in the tennis world, with all eyes set on her next match just two days later on the considerably larger Court 17. Despite falling to Kazakhstan’s Zarina Diyas just over 48 hours later, Bellis did show remarkable composure under pressure, pushing the world number 48 the distance after a shutout second set. What amazed so many was her raw talent and breathless pace of play, which was enough to give some of the best in the world fits—a totally unexpected, yet remarkable feat for someone of her age and quality. But perhaps the most awe-inspiring thing of them all was her positivity, which remained unfazed in even the most stressful of situations. Regardless of the score, the player, or the magnitude of the occasion, Bellis said she approached and continues to approach each match as if she can win, an attitude instilled in her from an early age from various sports. Two years on from that astonishing triumph in the Big Apple and Bellis is continuing to defy the odds with the same hard-work attitude, consistently proving that her historic victory in Flushing Meadows was no fluke. In the last six months, the teenager, who is just two months away from her 18th birthday, has flourished and played with a maturity beyond her years, resulting in some of her biggest victories yet. Garnering a very impressive 47-16 record in 2016, that saw her win five titles and her last 15 matches of the season in the process, this year has been a real year of transitioning for the high school senior for a number of reasons, including her decision to forgo college and turn pro this past summer. This decision came on the heels of another magical run at the U.S. Open where after qualifying, she defeated former Grand Slam quarterfinalist Shelby Rogers before losing to eventual champion and former world number one, Angelique Kerber. 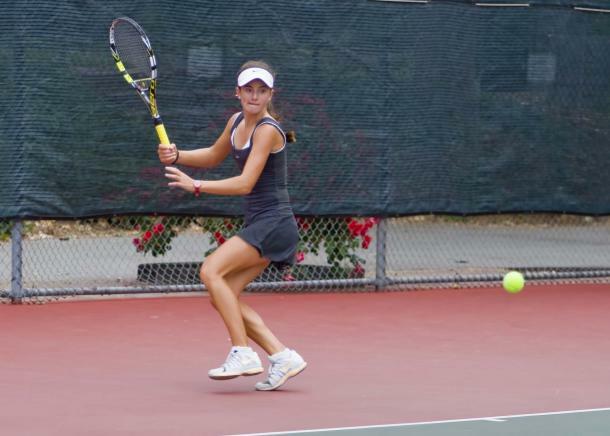 The 17-year-old’s decision may have come as surprise to some but was ultimately the most realistic option for Bellis, who found it increasingly difficult to balance her intense training schedules with her Stanford-level academic demands. But the Californian certainly didn’t have it her own way for the first half of the season, openly admitting to her frustrations and struggles with her own confidence despite never having worked harder to prepare herself for the demands of the pro tour. With this renewed mindset, Bellis was quickly back to her “old positive self”, following up her first title of the year at the $25,000 event in Sumter, South Carolina, with her first WTA Premier-level quarterfinal at the Bank of the West Classic, losing to none other than WTA legend Venus Williams. From there, the American would suffer just two more losses in a banner 2016 season as she went on an undeniable hot streak, which included her proudest moment of the year: qualifying for the final major of the year en route to making the third round of the main draw, having fallen just short 12 months prior. “I am most proud of qualifying for the main draw of the U.S. Open by working my way through the qualifying tournament. Those qualifying tournaments are so tough with so many great players, I personally think, tougher than the main draw,” she noted. “I got so much confidence from those victories. On paper, the first tournament [in Saguenay] would have seemed like it was a bit more difficult for me based on the rankings of my opponents, but in actuality, the Toronto event was a lot tougher. Ranking means nothing in these Pro Circuit events. I played a lot of players in the Toronto event that played at a much higher level than their ranking. It’s one of the reasons that there is little predictability in these events. There are so many factors and each tournament always seem to have a “red hot” player who is having the tournament of a lifetime. I’m just glad I am starting to be able to defend against this player. It was a definitely a goal for the year,” she later added. To accomplish the ambitious, yet realistic goals she set for herself in 2016, Bellis certainly hasn’t done it alone. 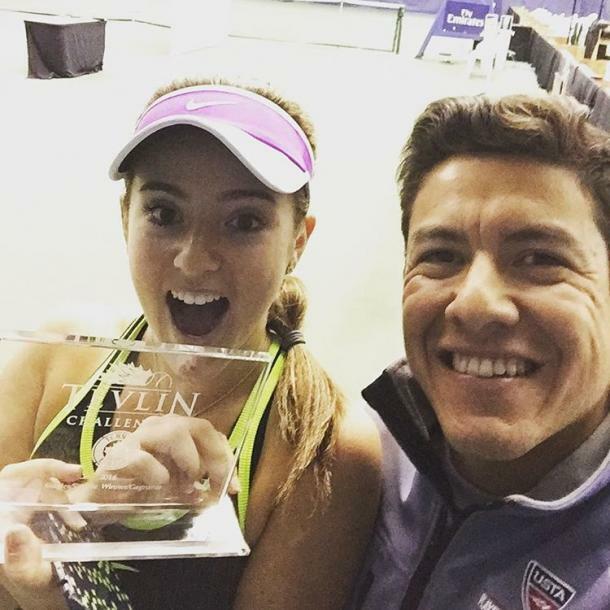 With the unconditional love and support of her parents back home, the WTA Rising Star has been training and working under the tutelage of Anibal Aranda, a Paraguayan former-player-turned-coach for the USTA National Development program. A successful junior himself, Aranda’s résumé is pretty spectacular in its own right. A former national number one in Paraguay in every division up until the age of 16, he moved to the U.S. with his former coach Victor Pecci to train in Key Biscayne, Florida, before choosing to play collegiate tennis with the former number one team in the NAIA Division, now known as the Santa Fe University of Art and Design in New Mexico (formerly the College of Santa Fe). Interestingly, even during his days as a player, Aranda always seemed to have a passion for coaching from an early age and after deciding competing on the pro tour just wasn’t for him, he subsequently joined the USTA National Development program as a women’s tennis coach in early 2014. After doing a short “trial run” in Boca Raton during the 2016 preseason, it wasn’t until April of last year that Bellis and Aranda decided to join forces on a full-time basis and so far, the results have been quite extraordinary, given the former’s stage in her professional development. “[Anibal and I] hit it off right away,” remarked Bellis. “We are both achievers. He brings inspiration to me from all fields with a motivating story or quote to start every day. He is so rare and I am incredibly appreciative of him and so are my parents. They have been able to confidently step aside for the first time in my tennis life because they have 1000 percent belief in Anibal. He has the same vision for my game that I have,” she concluded. At just 17 years of age, Bellis is without question one of the most grounded, positive and poised young ladies you will ever meet. With the help of the positivity of her parents and coach, Anibal Aranda, the WTA Rising Star is able to come to every match ready to play her best tennis with the attitude of a champion, win or lose. “If someone beats me, then, for the most part, they are the better player [on] that day. The only thing you can do is congratulate them,” she explained.